The Moroccan Tile Afghan uses a stitch that’s super easy to show… but hard to explain in words. I’ve heard you loud and clear – a tutorial is needed! Et voila! 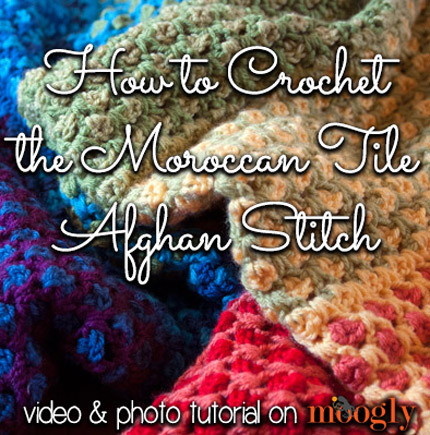 Here’s the Moroccan Tile Afghan stitch tutorial! 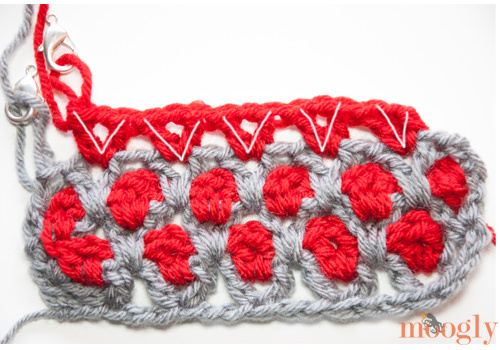 The Moroccan Tile Afghan stitch is made in a multiple of 3 +2, +2 for the starting chain. 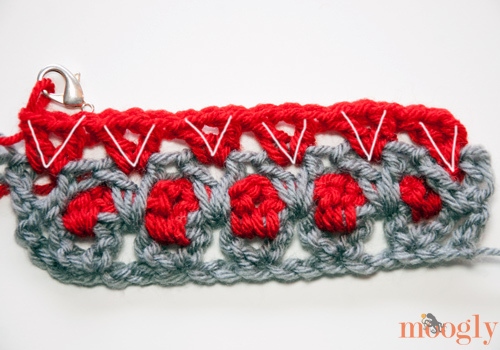 The chain and row estimates for several sizes are provided on the pattern page; for this tutorial we’ll be working with a starting chain of 19 – which would make a great little washcloth! A few unique stitches are used. See the original pattern, or click on the abbreviations below to go to the stitch specific tutorials. 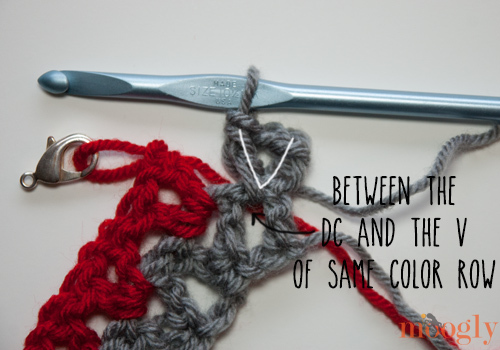 With Color A, ch to desired length, dc in 5th ch from the hook (counts as dc and skipped ch). Ch 1, dc in the same ch. (V stitch made) *Skip 2 ch, [dc, ch 1, dc] in next st. Repeat from * until 2 ch remain. Skip 1 ch, dc in the last ch. 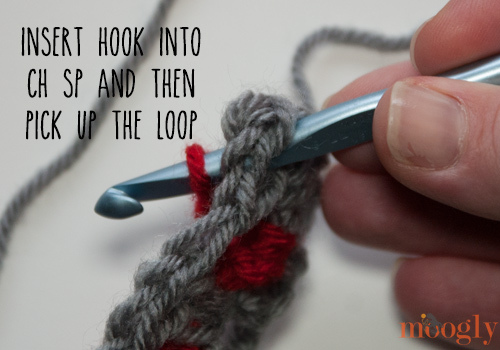 Remove the hook from the active loop, and pm (place marker) in loop (this is to keep the stitches from coming out). Do not turn. With Color B, STDC in the ch sp of the 1st V of the previous row. Ch 1, dc in the same ch sp. (V st made) [Dc, ch 1, dc] in ch sp of each V st to the end. Remove the hook, pm, turn. With Color B row held in back, replace hook in active loop of Color A. CSDC, ch 1, dc between the 1st and 2nd st of Row 1 (between the dc and the first V st). [Dc, ch 1, dc] between the V sts of Color A/Row 1 (NOT in the ch sps, enclosing Color B/Row 2 in each st) until 1 V st of Row 1 remains. Dc between the last V st and the last dc st, ch 1, dc in the last st. Remove hook, pm, do not turn. 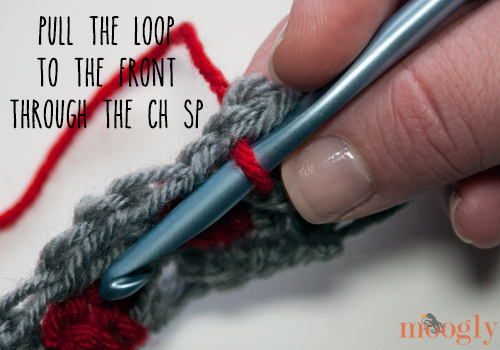 Inserting the hook into the ch sp of the 1st V st of Color A, replace hook in active loop of Color B and pull it to the front. CSDC, ch 1, dc in the same ch sp. [Dc, ch 1, dc] in ch sp of each V st to the end. Remove the hook, pm, turn. With Color B held in back, replace hook in active loop of Color A. CSDC. [Dc, ch 1, dc] between the V sts of Color A until 1 V st remains. Dc in the last st. Remove the hook, pm, do not turn. And I think that gives you the gist of it! Color B will always nest right on top of Color A, in the ch 1 sp. Color B will always be worked in to Color B, enclosing Color A (except on the very ends). 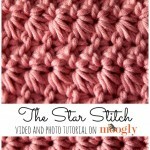 Easy enough with the Moroccan Tile Afghan stitch tutorial, I hope! 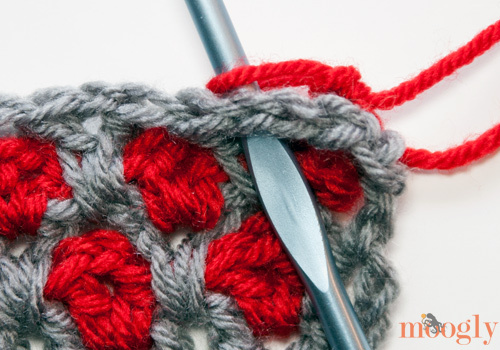 Once you get the hang of it, it really is a super easy stitch pattern to make – great for cozy winter nights on the couch with your hook and a good movie! Is it possible for you to make a video or explain how we do color changes nice? I understand we should keep color b but use that for the stitches we first used on color a and add color c as new for color be, but how to make this change and still keep the blanket looking good? Kind of stuck here, sorry. Another Super Tutorial, Tamara. 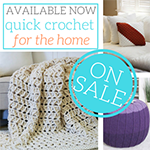 I haven’t used the standing double crochet yet, but I will now. This pattern is beautiful. I saw the original post and ever since I saw this pattern, I thought it would make a some great cotton dishcloths. Now I’ll get started on that. Sorry if this is a duplicate comment, but I wrote one last night & don’t see it here. First, I love, love, love this pattern!!! One of the sides appears to be coming out more diagonal than straight. Will that resolve itself as I go & do my border? 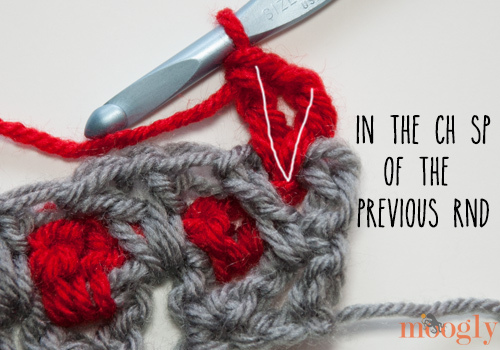 I’ve already restarted once & am following the pattern to the letter & even watched your video tutorial several times so I know I’m doing it right. Is anyone else having this issue? The only other thing I can think of is I’m using lighter weight yarn here but I doubt that would really cause this to happen. Thanks!!! Omg! After pulling my work out for the second time (about 70 rows!) and watching your video for the umpteenth time I finally see where I went wrong!!!! Thank you for posting the video! I’m just mad at myself for not seeing where I went wrong sooner! Oh dear! Sorry about all that frogging – always such a bummer! Glad you figured it out though! I have looking at your videos ..very informative! I saw that you used a stitch marker..I was taught by a friend to use tiny safety pins as stitch markers. .and less cost! I have been crocheting for 50 years . I must say you have taught me a few things. 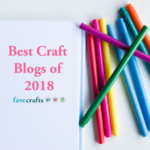 Enjoy your crocheting! Hi Tamara! Beautiful pattern that I am excited to be doing. Using your color scheme, I was super successful on Rows 1-20 but I am stuck on how to start Row 21. How do I end off Color A properly in order to then turn Color B into the next Color A? If you could add another short tutorial for this specific transition, it would greatly appreciated! Hi Amanda! To finish off Color A, just break the yarn after you finish Row 19 and pull the loop through as if you were finished with the whole blanket. Then for Row 21, you just turn and make it with the unbroken Color B. Then join Color C as if it were Row 2. Does that help? Sounds right from here! 😀 Yay! Thank you for the tutorial, you do go a little fast,I had to watch a few times. I think a light background would help to see what you are doing also. 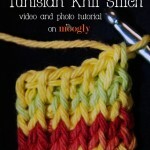 I am going to attempt this pattern. Tamara…as always — THANK YOU. 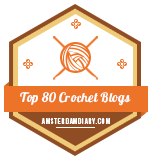 You share so much and I am SO happy to see crochet promoted in so many diverse, interesting and beautiful ways. 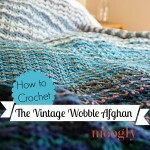 I am going to make my dear spouse a lovely afghan from this. Again, thanks so much. You bring so much encouragement and common sense to this! Wow, thank you so very much Lisa! 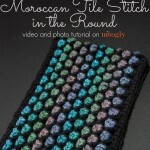 Thank you so much for the video and tutorial for the Moroccan tile stitch. 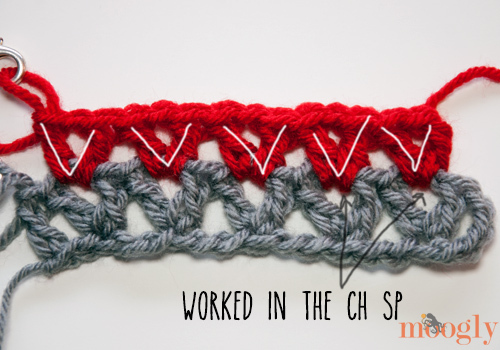 I love learning new stitches and this one is so cool and easy to understand. 😀 Thank you so much Dorit! Tamara, Thanks for the beautiful pattern & tutorial. I’m attempting to start one, I plan on doing swatches of 12 inches across. I’m off to a rocky start. The pattern calls for the foundation chain as 3+2, (plus 2 at the end) which as written is 5, per V stitch, but the pattern only calls for 3. V stitch, skip 2, repeat. Your beginning chain was 19 st, which is not a multiple of 5 (plus 2). I’m trying to figure out how many chains I need to make mine 12 inches across but the math isn’t working out. I’ve made it too short, pulled it out & then made it too long. Can you explain the 3 + 2 concept to me? Thanks. Hi Lori! It’s a multiple of 3… and then add the 2, then 2 more for the starting chain. So 3 x 5 is 15, +2 is 17, +2 more is 19. Does that made sense? Hi Tamara, thanks for the reply. I still don’t understand it. 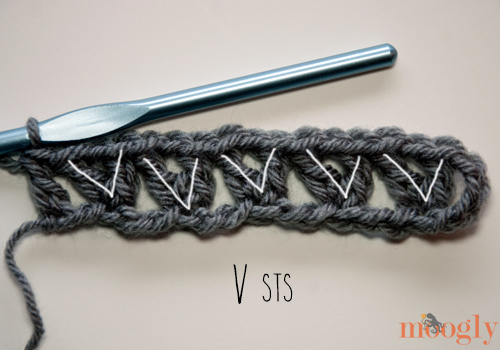 You are just repeating the V stitch, which is 3 chains. 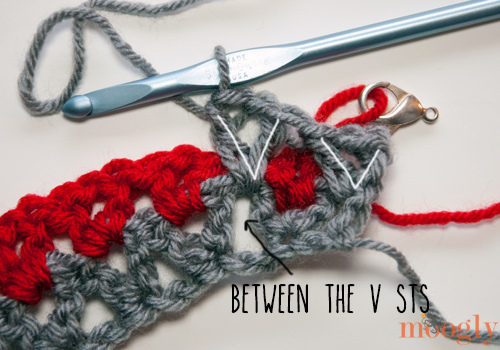 Why the plus 2 for each V stitch? I get the extra 2 for the starting chain. I just kept trying trial by error & got the amount I needed for my starting row, & have about 16 inches of my first swatch started & wrote the number down for my next strip. I guess it’s just not making sense to me. It’s not plus 2 for each, it’s just plus 2 at the end, so that you have a stitch at each end of the row. Another way to put it would be a multiple of 3, plus 4. I’m not sure what size you’re going for, have you checked the chain list on the pattern? 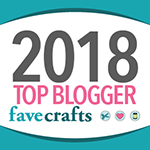 thank you for all of your free patterns and videos. You explain everything so well. Thanks a ton. 🙂 Thank you so much njagt! 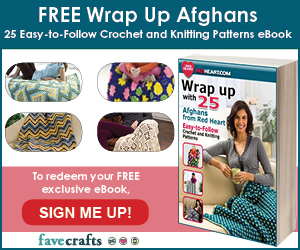 Than you for all of your free patterns and videos. Tamara, I just made the market bag with this stitch and it came out well but not quite like yours. I don’t know how I missed this video tutorial but now I know what I did wrong! Thanks so much for the tutorial, yours are by far the best video tutes! Ah, sorry you didn’t see it first, but so glad it clarified things! 😀 Thank you so much Andrea! I am new to your website but can’t tell you how impressed I am with all of it. Your videos and photos are outstanding. You make things very easy to follow. 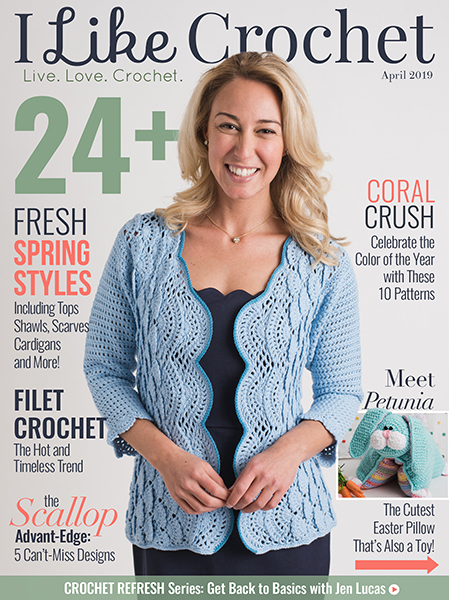 I am 75 years old and have been crocheting since my mother taught me at 5 yrs old. She didn’t read patterns all that well but could make anything just by looking at the stitches….so I learned by watching her. But, I learned to read patterns years ago. I have 3 granddaughter and they’ve all learned to crochet from this Grama. I will be sure to introduce them to your website. I just want to thank you for all that you do here and the lovely patterns. Thank you so much Marie! It’s so wonderful you’ve been able to pass it on to your granddaughters! Hi. I had a question about the color change at row 21. When you make Color B the new Color A, doesn’t that row 21 essentially trap row 20 (color B and A) which makes the grout line and the tile the same color? Thanks for the help. I really enjoy your patterns. I made one of your shawls for my kids’ teacher and she loved it. I’d like to make this with Bernat Blanket yarn(6- super bulky weight) but I can’t even begin to figure out how to alter the pattern to fit that yarn. I’d like to use that yarn as I’m making an afghan for my niece and that yarn is super soft. And I’m planning to do it in squares. So… what size hook should I use? 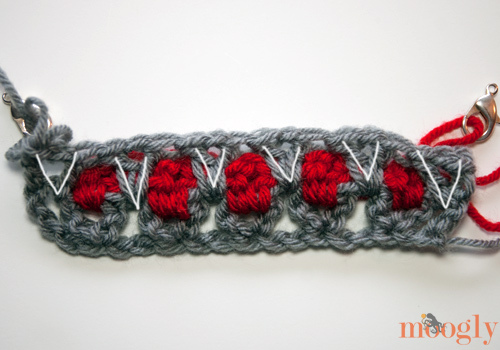 And are there any alterations I need to make to the pattern (besides the squares), in order to make this yarn work? Please help! 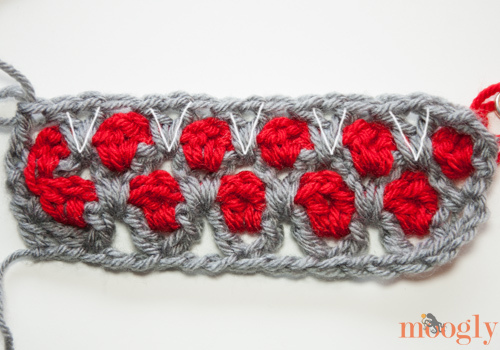 Hi, I love this pattern and I’m thinking about using it to make a temperature blanket. I was thinking of doing a high/low for each day using a range of 8 colours so each day would be two rows.. I was wondering if there was anyway to do a decrease on this pattern? I am trying to make butterfly wings. Thank you, and thank you for the tutorial.